City tours of Prague by Night with private tourist guide. An amazing atmosphere reigns in Prague after the sunset. You can delve into this atmosphere by enjoying views of the Municipal House, the Old Town Square, Karlova Street, the Charles Bridge, St. Nicholas Church, Nerudova Street and the Prague Castle. City tour of Prague, Prague gardens. If you would like to have a rest during your stay in Prague, we recommend you to visit Prague gardens. From the Middle Ages gardens and vineyards, later also parks, were integral parts of the city. With your personal guide you can visit, for example, the beautiful renaissance Royal Garden. 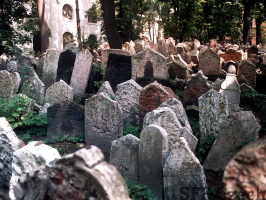 Private walkings of Prague Jewish City with tourst guide.This thematic walk you will discover the only Jewish ghetto in the Central Europe that survived the Holocaust. On the Old Town Square we will see places associated with the life of writer Franz Kafka such as his birthplace and places where he studied and lived. 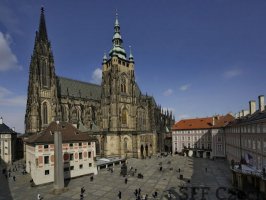 Private tours with private tourist guide of Prague Castle.The Prague Castle, an ancient symbol of the Czech lands, is the most significant Czech monument and one of the most important cultural institutions in the Czech Republic. City tour of Prague Castle. You will become familiar with themost important historical monuments on the left bank of the Vltava. The walk starts on Loreta Square, where it will be admired pilgrimage Loreta and Czernin Palace. Prague Castle was the ancient symbol of the Czech state. 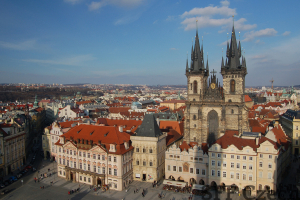 For the first time in Prague with privite tourist guide. If you’ve never had the opportunity to visit Prague, this private walk is the right choice. A licensed private tourist guide will guide you through the most interesting and the most famous parts of Prague and make you familiar with the basic history of the city.